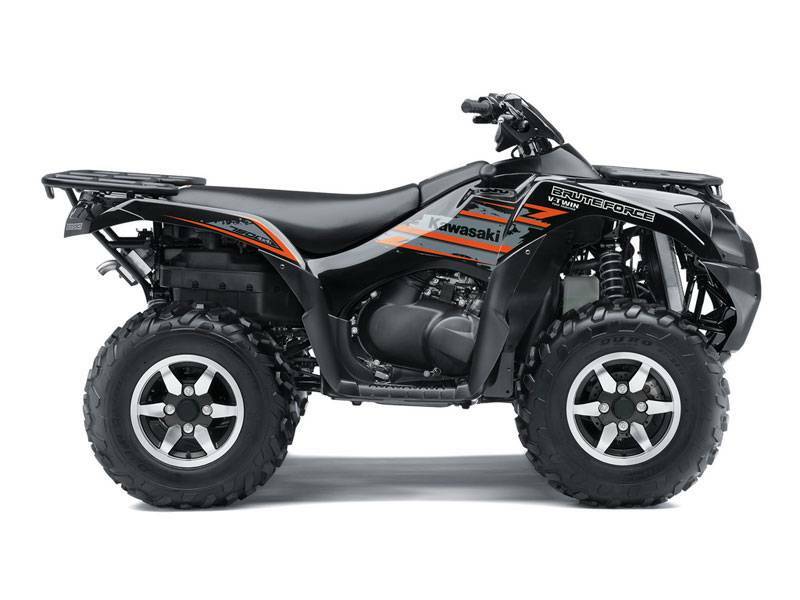 More power and more control - That's what you can expect from the all conquering BRUTE FORCE 750 4x4i. Its mighty V-Twin engine now delivers more power than ever before, and its updated chassis - combined with Electronic Power Steering (EPS) now means it has never been easier to ride. 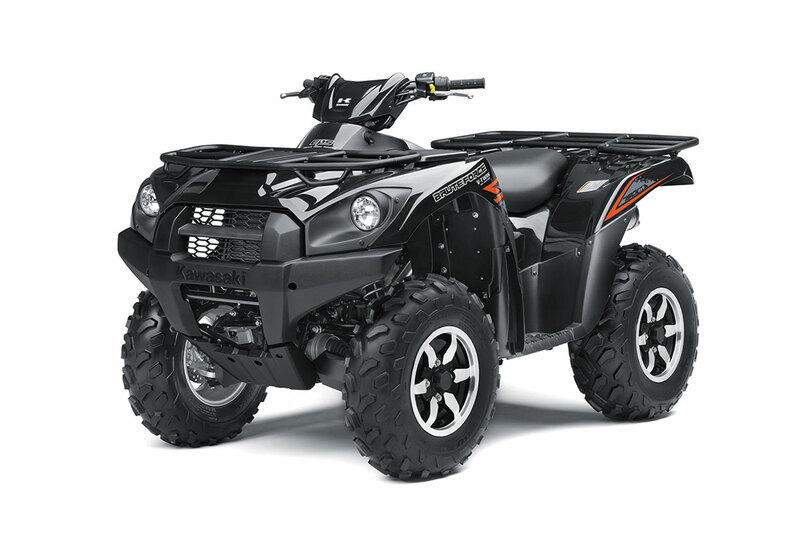 Other class-leading features such as fuel injection, fully independent front and rear suspension, variable torque front differential, fully-enclosed wet rear braking system, a massive 120kg of combined carrying capacity plus all-digital instrumentation, come together to make the BRUTE FORCE 750 4x4i the ultimate sport-utility ATV with true Agricultural working power. 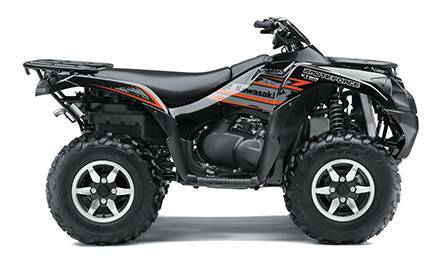 The BRUTE FORCE 750 4x4i features a strong chassis combined with practical front and rear racks. Widely spaced headlights contribute to a planted stance. 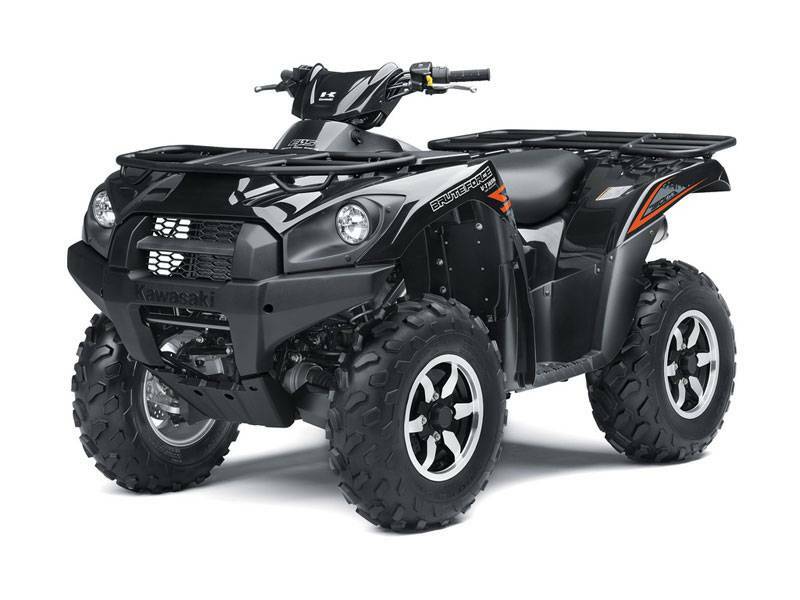 The BRUTE FORCE 750's muscular V-Twin, fuel injected engine churns out a hefty 37kW @ 6,750 rpm and 59Nm @ 5,250 rpm, giving it more than enough grunt to squeeze the most out of the enhanced chassis. The BRUTE FORCE 750 4x4i is a true workhorse, offering a massive 120kg combined carrying capacity and, thanks to its sturdy chassis and low-down grunt, boasts an equally impressive 567kg towing capacity. The EPS system provides varying power assistance tailored to your speed. 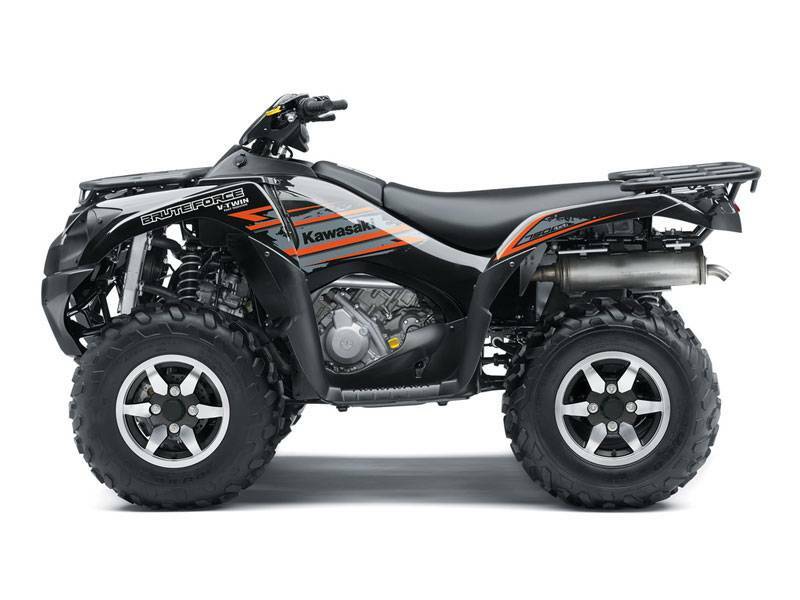 It acts as a stabiliser at higher speeds and in rough conditions to reduce kickback and bump steer, making it easier to enjoy the BRUTE FORCE 750's mighty performance. 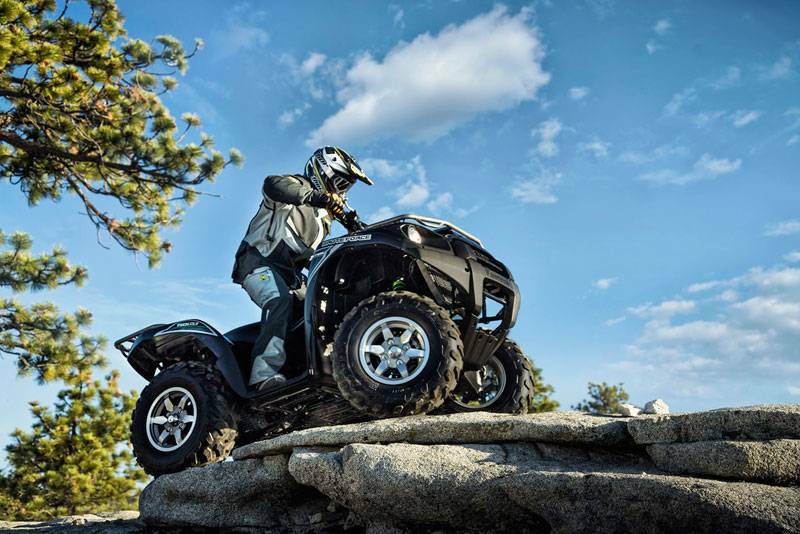 The BRUTE FORCE 750 4x4i's suspension has been designed to handle rough and uneven ground. Firmer settings produce a sportier ride, while revised seat padding enhances the ride experience. 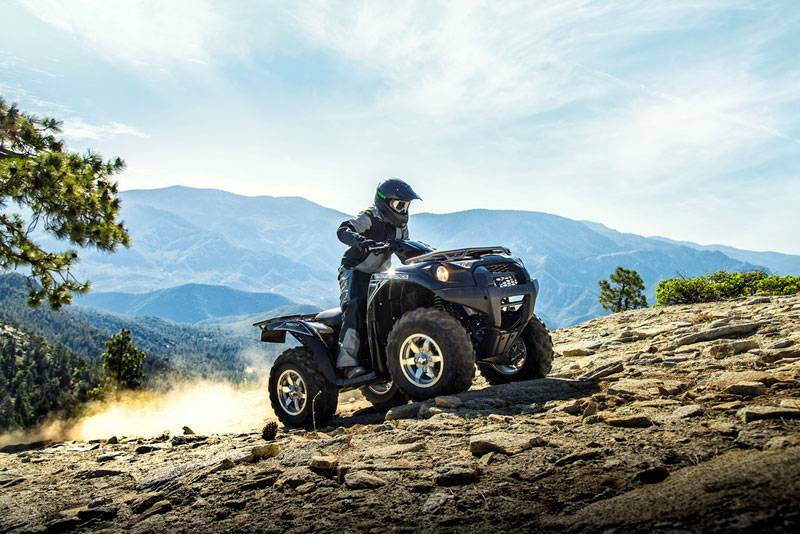 A first for a Japanese ATV, the BRUTE FORCE 750 4x4i comes standard with six-spoke cast aluminium wheels, enhancing its stylish looks and reducing un-sprung weight. Independent double wishbone, 5-way adjustable preload shock absorbers.